This week's Season Spotlight features the wacky world of The Play That Goes Wrong, a play about a play that...well, goes wrong. The Play That Goes Wrong Original Broadway Company. It's opening night of The Murder at Haversham Manor where things are quickly going from bad to utterly disastrous. There's an unconscious leading lady, a corpse that can't play dead, actors who trip over everything (including their lines) and lots of laughs for everyone in the audience. We could tell you how hilarious this show is, though we find it's much more convincing to watch the short video above and purchase tickets to simply witness all of The Play That Goes Wrong's hilarity for yourself. If you won't take our word for it, how about reviews from a little publication called The New York Times? Perhaps a tidbit from the folks at Forbes? Alright, you get it. Here are some quick quotes that showcase how a play that goes so wrong can be so right. "MADCAP MANIA WITH MONTY PYTHON IN ITS BLOOD. IT CRANKS THE CHAOS UP TO 11!" "Mischief theatre has found a winning formula. Whatever visions of chaos your imagination summons, the odds are that this show's artfully hapless team with exceed them." "BY FAR THE FUNNIEST SHOW OF THE SEASON." "A riotous explosion of comedy! 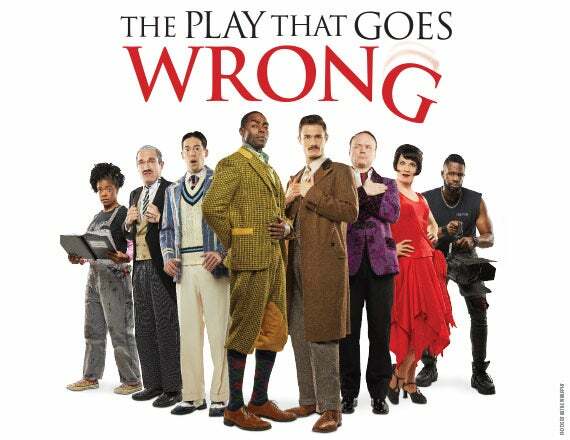 The Play That Goes Wrong features an utterly terrible fictional script executed utterly terribly by a terrible group of fictional actors, enveloped in a real-life brilliant script executed brilliantly by a very real and very brilliant group of actors." My, we couldn't have said it any better ourselves. The Play That Goes Wrong is part of 2019-20 PNC Broadway Lights and is currently on sale with a season ticket. Learn more here.